The last day! 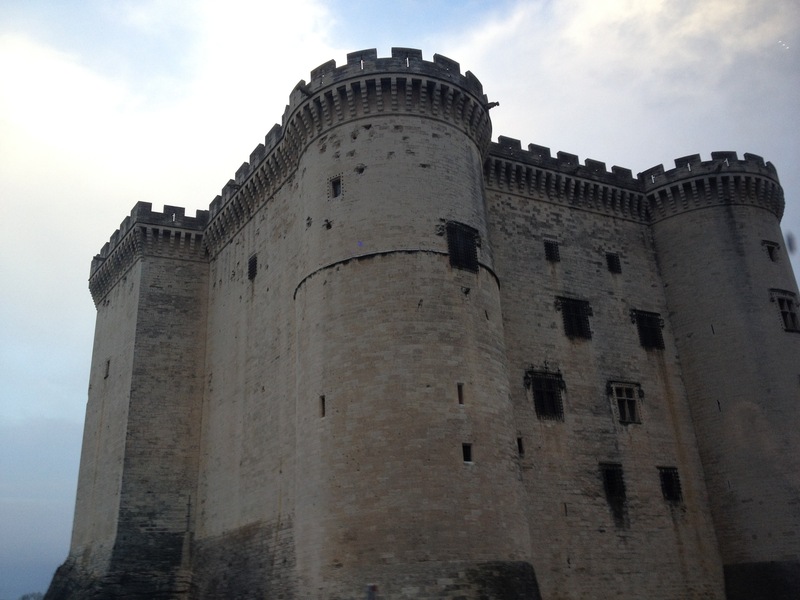 We sailed to the town of Tarascon and explored the town in the pouring rain and crazy winds. Everyone had umbrellas from the boat, but the wind was getting the better of them. As we wandered the deserted town we saw abandoned umbrellas everywhere. Laying dejected on the sidewalks. Tarascon has winds called Black Mistral winds, meaning fierce mistral winds accompanied by pouring rain. They have mistral winds 100 days a year in Tarascon. We braved these winds and walked all over the city. Very few shops were open. We finally found a little cafe and got some pastries and espresso and sat with some other friends from the boat before venturing back out into the rain. Tarascon has a saint called Saint Martha. Her story is one of the most awesome stories about saints we had ever heard. There was a monster in Southern France called the Tarasque. It was a sort of dragon with a lion’s head, six short legs like a bear’s, an ox-like body covered with a turtle shell, and a scaly tail that ended in a scorpion’s sting. It ravaged cities and no one could kill it. When Saint Martha arrived in Tarascon she about the Tarasque, went to it and tamed it by singing hymns and prayers to it. She then brought it back to the city where the people, who were still terrified of the beast, killed it. Martha made them feel horrible for killing a tamed beast and converted many of the to Christianity. Crazy. That night we played cards and hung out with all our friends on the boat. No one wanted to pack or think about saying goodbye! We stayed up late, drinking French wine, coffee, and feasting on macaroons, cheeses and other delicious snacks we had purchased but didn’t want to pack into our suitcases. In the morning we were separated by color, put onto busses, and taken to the airport in Marseilles. 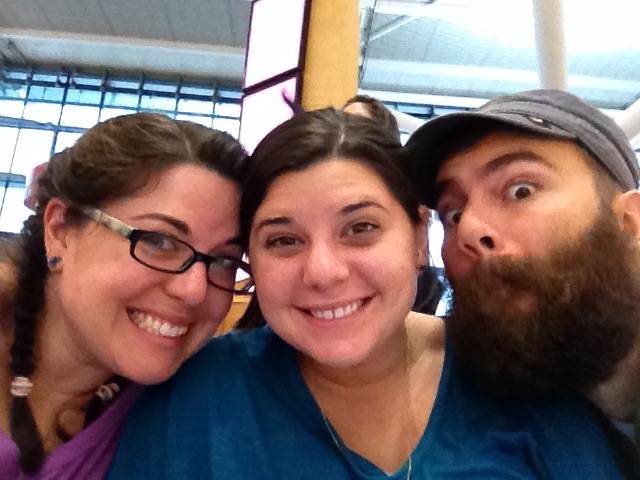 I flew to Boston with Kim and Colton, and then home to NY with mom and dad. What an unforgettable trip. So many amazing memories and so many great new friendships. We will never forget! We are all Boston Strong!